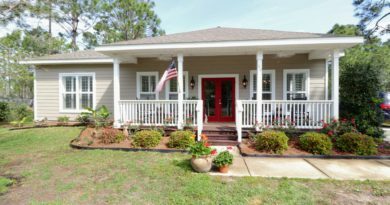 South Walton, FL – Realtors report 80 Home Sales in South Walton for September, the second-best September on record for Emerald Coast Association of Realtors (ECAR). Only September 2004, had more sales with 88 reported to ECAR. This represents a 27% jump over September 2011 sales for detached homes in South Walton. Not surprising, the dollar volume for South Walton homes sold in September 2012 was $46.6 million, almost a tie for second-best September on record for dollar volume sold, behind only September 2004 and barely behind September 2005. Median sold price for homes in South Walton during the month of September was $420,000, a 27% jump compared to September 2011, when the median price was $330,000. Comparing it to the best September on record for median price, we are down only 37%. We’ve seen that median price go down as much as 50% from the market’s peak, so it’s good to see some upward movement. The inventory of detached single family homes in South Walton continues to dwindle down month by month. Present inventory levels are down 24% compared to a year ago and we are down about 60% from peak inventory. We have been experiencing recent months inventory supply around 7-10 months, which is getting much more in line with a “normal” real estate market. Looking ahead at October sales, we see a substantial boost in pending sales as we are writing many contracts. Pending sales are an indicator of future sales, but no guarantee. Overall, we’ve seen a strong fall in the South Walton and 30A real estate market and the future is bright. All data referenced above is compliments of ECAR and thought to be accurate, but not guaranteed.